The oldest of the Internal Arts Xingyi Quan (Hsing-i Chuan) is known for its direct nature and its reliance on hard internal power. Based on the Chinese five element theory Xingyi seeks to harmonize the minds intention with the bodies movements so that there are no gaps between thought and action. The mind of Xingyi is like a freight train, it contains no gaps and is continuously moving forward. 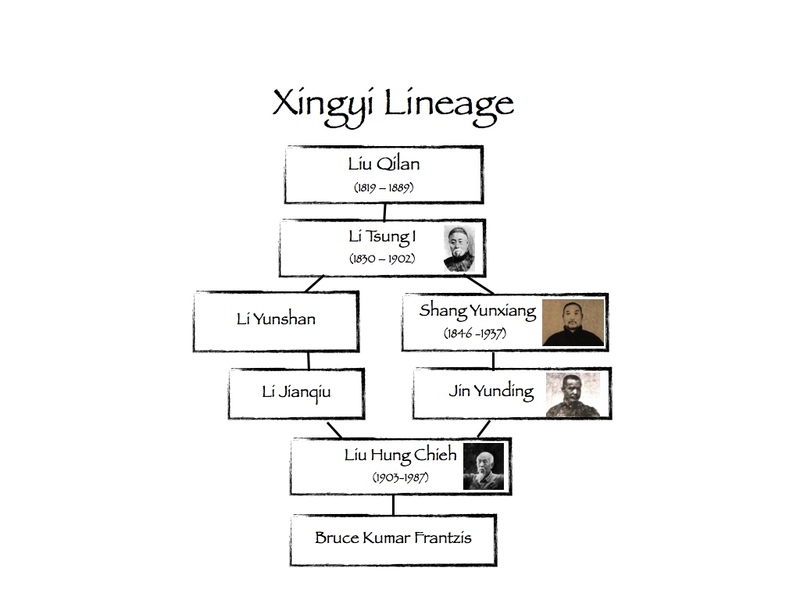 The movements in Xingyi are not complicated but every move of the forms are applicable to martial application. There are no wasted movements in Xingyi, every move in the form is practiced exactly how it is applied to martial arts. XingYi’s basic training consists of the Santi Standing practice which is an method for developing internal power. The Five Element Fists make up the core of all Xingyi techniques are extremely versatile in their application to martial arts. The more advanced aspects of Xingyi has two person forms, linking forms and the 12 animal forms. As these more advanced practices are essentially variations of the five fists, the majority of the training is centered around the practice of the five elements and santi. Click here for our lineage.